Who waves the sceptre in the land of the blind? Who keeps his dignity, even when the song is a complete flop? These are two lines from a comical song by Frans Halsema honouring the involvement in the Eurovision Song Contest of the Dutch Dolf van der Linden, a conductor who appeared regularly in the early years of the festival. It evokes a time when live music was the norm and all contestants were accompanied by the Eurovision orchestra conducted by a dignified chef d’orchestre from their respective countries of origin. A time, also, when, before each song, the musical director was introduced: “The next song is from Belgium. And the conductor is...Jack Say”. Applause! One, two, three... and the music starts... Unfortunately, these days are long past. The last Eurovision Song Contest with live orchestral accompaniment was in 1998. 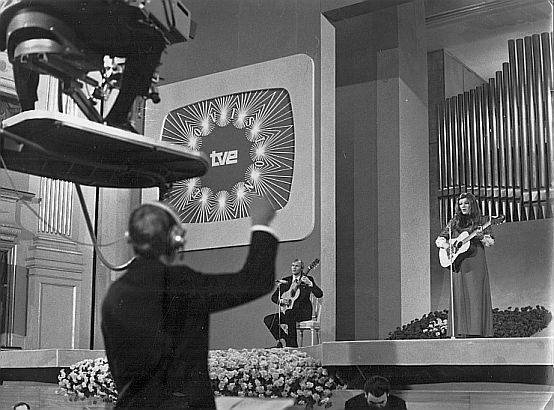 Subsequently, the European Broadcasting Union decided the show would be better off with backing tracks and without real music. We strongly disagree with the EBU’s decision. As a way of protest, we have built this website. It aims to applaud the careers of nearly 350 musicians, who conducted the Eurovision orchestra between the first festival in 1956 and 1998. Some of them became monuments in the contest’s history: what to say of Noel Kelehan and Ossi Runne, who waved the baton in more than twenty editions? Many others took part only once. There is, however, one element that unites them all: they were all accomplished musicians in their own right. That is why we have erected a statuette for all of them: by clicking the ‘search’ button on the left-hand side of your screen, you will get access to their biographies. In each bio, information on the conductor’s career in general can be found, as well as details about his or her Eurovision involvement. The articles are the result of extensive research and, if possible, interviews with conductors or people who worked with them. We have done our utmost to verify all information. Nevertheless, if you discover an inaccuracy or, even better, in case you can add some valuable data, please do not hesitate to contact us. In the meantime, we will do our best to continue the research in order to improve the biographies. We hope you will enjoy this website!